Across the street from the gondola to Breckenridge Ski Resort, and walking distance to the super market Gold Creek is a small complex right on Main Street on the quiet north end of town. The location, off street parking on the residential side of the block, the small number of condos in the building and rising views as you get higher in the 3-story building. 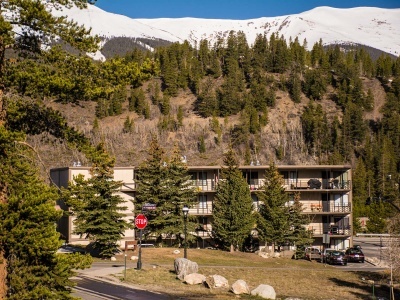 These condominiums have a modest, open floorplan that resemble many Breckenridge condos like it, that were built around 1970. Keep reading about the advantages to owning a condo, or start your search with the available Gold Creek Condominium for sale can be found below. 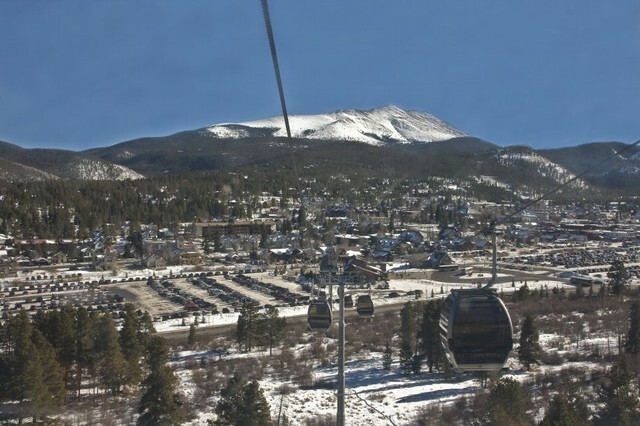 Getting to the Breckenridge Ski Resort is easy. Year-round you can cross the street and within a block you'll be at the base of the gondola that heads up the mountian. The first stop on this gondola is Shock Hill, where you can walk to the Nordic Center to cross-country ski or to hike in the summer. It's a short walk into the Cucumber Creek Wildlife Preserve, where moose, elk and small creatures have been known to be seen. Further on, you can off load at Peak 8 9r Peak 7 where trails lead straight up the ski mountain to the summit of peaks Eight or Nine, or you can get a head start by taking the chairlifts that are available (for a fee) in summer and winter. Across the deck of the new lodges at the base of what's called Peak 7, the fabulously gentle Peaks Trail begins. Also called colloquially, the Frickenridge Trail, it continues at the base of the Tenmile Range all the way to Frisco, and also joins trails that lead to Copper Mountain and the Gold Hill trail, which is part of the statewide Colorado Trail. From the traffic circle at the north end of town, continue onto Main Street. Turn to the east on French Street immediately left into the Gold Creek Condos parking lot.